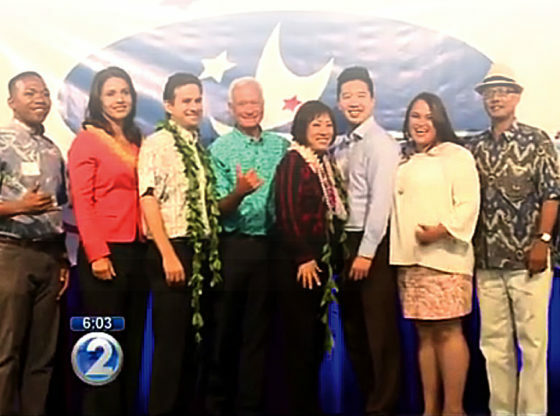 Island taxpayers need more Republicans in office to deliver reforms and solutions which Democrats refuse to implement at the State Capitol, Honolulu Hale and in Washington, D.C. 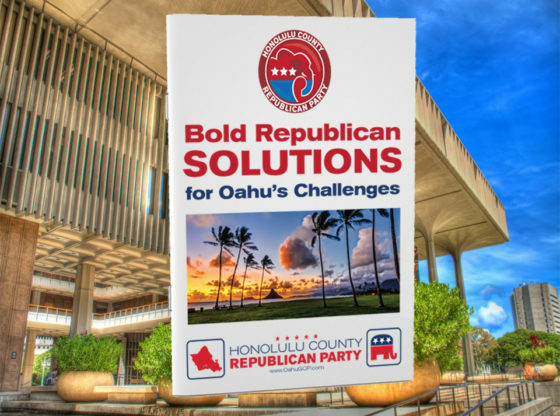 If Republicans held the majority in our city and state governments, we would immediately pursue the bold solutions outlined below along with many others designed to repeal and replace the failed policies which cause too many island residents to struggle from paycheck to paycheck while improving the quality of life for all who live on Oahu. AFFORDABLE HOUSING Increase supply by pursuing innovative land use policies which allow different sizes and types of homes, such as microhousing, mobile homes, and prefab housing. Allow nonunion labor to compete for any and all residential construction jobs. REDUCE COST OF LIVING Lower consumer prices by billions each year for all the goods imported to Hawaii by reforming the Jones Act in order to eliminate the current shipping monopoly. This will boost the level of competition between global shippers to Hawaii. JOBS AND THE ECONOMY Strengthen our island economy by cutting taxes, regulations and bureaucracy. Inspire innovation, entrepreneurship and specialized expertise. Create a healthy business climate that generates jobs for workers and revenue for the state. EDUCATION Return to local control of schools in Hawaii. Eliminate the centralized DOE bureaucracy. End ‘Common Core’ and pursue challenging standards that increase graduates’ access to high-paying jobs. Establish parental choice of schools and provide vocational training programs. TRANSPORTATION Significantly reduce traffic congestion by shifting tax dollars from rail construction to major improvements of highways and surface transportation. Support common sense creation of commuter ferries to downtown plus interisland ferries. ENERGY Institute competition by requiring all energy generators to abide by the same environmental standards while equally adhering to wildlife protection requirements. HEALTHCARE Enact interstate insurance, tort reform, increase medical students, repeal insurance mandate and return to choice of doctor and services. 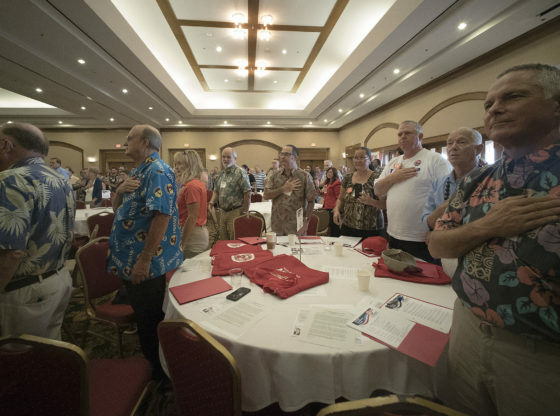 *** for more GOP solutions, click HERE to review policy positions of the Hawaii Republican Party. A Celebration of Hawai’i Statehood and Honoring Senator Sam Slom! 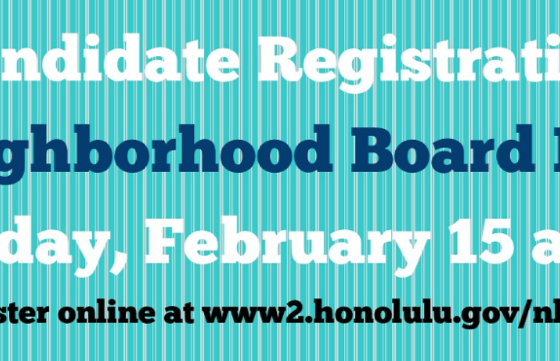 Honolulu County Kicks Off Historic Grassroots Action!